1. That Brewers, dwelling twenty Miles out of London, may exercise the Craft of Coopers. 1. The new Bill for Union of Churches in the City of Lincoln. L. 1. 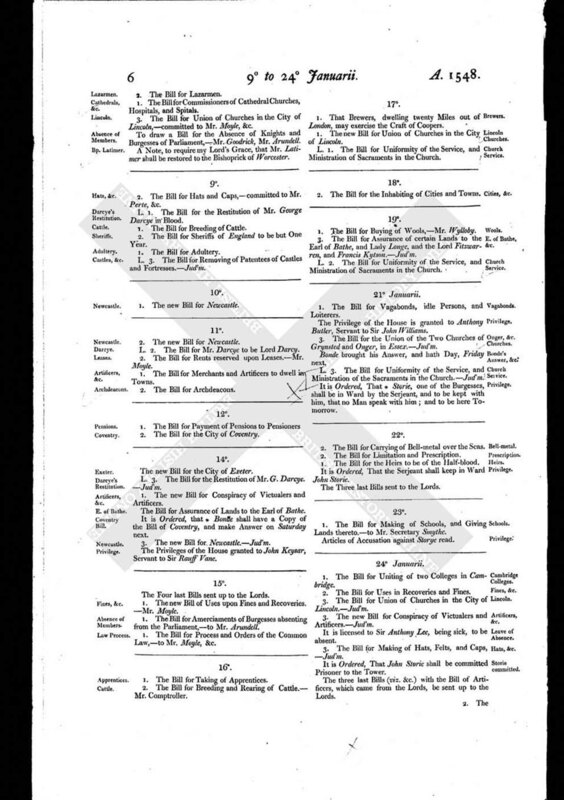 The Bill for Uniformity of the Service, and Ministration of Sacraments in the Church.